Presentation ice breaker: sell!, sell!, sell! 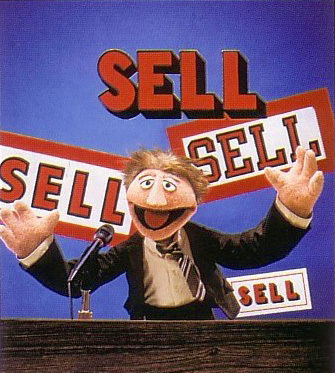 One of the best ways to open a company sales conference is the Muppets "Sell! sell! sell!" video. Watch the demo here. Make sure to listen to the audio as well. It still works, even for people that have seen the video (many times) before.